Looking to attend a CRE event this year? Below is a list of some of the top commercial real estate events of 2019 from around the globe. Check back as we will continue to add more real estate conferences, trade shows and symposiums throughout the year, and extend to 2020 as well. Do you have an event you would like featured on this list? Please get in touch with us. The Whistler Conference will offer a combination of education for shopping centre professionals as well as a forum for leasing & networking. 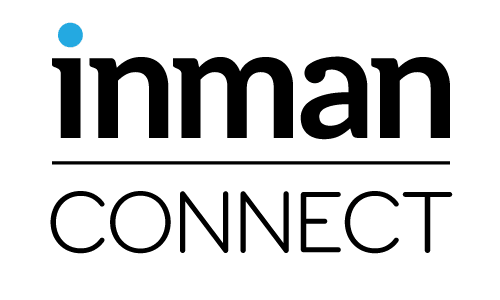 Inman Connect is a week-long event bringing over 4,000 top-producing agents and brokers, CEOs of leading RE franchises, MLS & association leaders, tech entrepreneurs & marketing executives, to network, make deals & explore the newest technology. Join CoreNet for a fast paced and thought-provoking half-day symposium on the advanced technologies disrupting the CRE marketplace. Any Size Deals (ASD) presents ASDAiRE, a global conference focused on the impact AI and Robotics are having on the real estate space. The conference takes place at the Williamsburg Hotel in Brooklyn, NY. CORFAC International is comprised of privately held entrepreneurial firms with expertise in office, industrial, retail brokerage, tenant / landlord rep, investment sales, multi-family, self-storage, and more. Over 200 leaders representing the multifamily industry’s top owners, investors, developers, brokers, financiers and more from across the country. Annual event facilitating deal making between owners, developers, retailers, brokers and lenders. MIPIM, the world’s leading property market, brings together the most influential players from all international property sectors. CRE summit that includes over 700 corporate real estate executives with a particular focus on effectiveness and value creation. The first of many CRE//Tech events for 2019 hosted in Los Angeles. Conference focused on new investment and finance trends, national net lease market conditions. Connect with leading RE professionals, and develop business opportunities with over 70 exhibiting companies during a 3 day exhibition with over 8,000 of your industry peers. One of the most important events for those involved in the sale or lease of commercial real estate. One of many CRE//Tech events for 2019 hosted in Boston. The European Conference & Exhibition combines the idea exchange of ICSC’s European Conference with our innovative exhibition for the Space, Place and the Future of Retail experience. #ASDSummit, aka “The Dealmaker Summit”, is a real estate development and finance conference focused on the state of the market. This year’s theme is Opportunity Zones. The leading real estate investment and development event in the Middle East. The ultimate ‘must-attend’ event for professionals involved in property and construction. BOMA conference addressing issues and developing trends in healthcare real estate with more than 1,000 participants. Central and Eastern European Real Estate Quality Awards’ annual gala. ASDToken, aka #BitcoinCRE, is the premier Blockchain & Real Estate Brand Globally. In its second year, ASDToken will be one of the featured events of CoinDesk’s Blockchain Week NYC. RECon is the largest global gathering of retail real estate and shopping center industry professionals with around 7,000 participants. Technology conference and expo for commercial, government and institutional real estate. In #BitcoinCRE’s 2nd year at London Tech Week, it’s been rebranded as ASDToken. The focus is on sharing all that’s happening within the RE community as it pertains to Blockchain and the Token economy. Sold as “the CRE professional’s most important event of the year” held in Salt Lake City, UT in June of 2019. Join IMN as they dissect the most pressing market issues implications for stakeholders at the 16th Annual Non-Listed Alternative Investment Products Symposium. A tech forum for residential & multifamily real estate professionals. The Annual Conference for the Appraisal Institute, which is a global professional association of real estate appraisers, with more than 18,000 professionals in nearly 50 countries. The 2019 CoreNet Global Summits will explore ways you can transcend traditional boundaries through divergence. The CREW Network convention serves as a platform for 1,200+ commercial real estate professionals from all over the world to network. Join the ICSC Retail Innovation Forum, September 2019, for opportunities to network with and learn from retail real estate innovators. International trade fair for property and investment. Over 45,000 participants and 2,000+ exhibitors from over 60 countries. CCIM (Certified Commercial Investment Member) Institute’s annual global conference brings top CRE professionals together to shape the future of the industry. In 2019, it will be held in San Diego, CA. The preeminent conference for commercial real estate – where deals, connections and trends come together. One of many CRE//Tech events for 2019 hosted in New York. One of the most important events for commercial brokers involved in the sale or lease of commercial real estate. CRE summit that will explore ways you can transcend traditional boundaries through divergence. With more than 2,500 attendees, 200 speakers and 100 sessions, the Summit is the essential event for corporate real estate professionals around the globe. Three days of exhibitions, panels, networking and insights into Qatari and Middle East real estate. Over 35,000 real estate investors and professionals in one of the largest global real estate events. Retail real estate event gathering +8,400 professionals for 3 days of exhibition, networking and conferences. ASDinnovate, aka #InnovateCRE, is a two day festival celebrating all things real estate and tech. The 3rd edition in 2019, it’s going to be bigger and better with an international cast of industry leaders in the RE tech space. Join more than 10,000 attendees and 500 exhibitors for two full days of DEAL MAKING and much more.